West Indian Manatees are non-territorial and do not form stable, close social groups or herds. They are seen most commonly in groups of two or more. Sightings of lone animals are seen more frequently than any other single group size. The only long term social bond is between a mother and her calf. 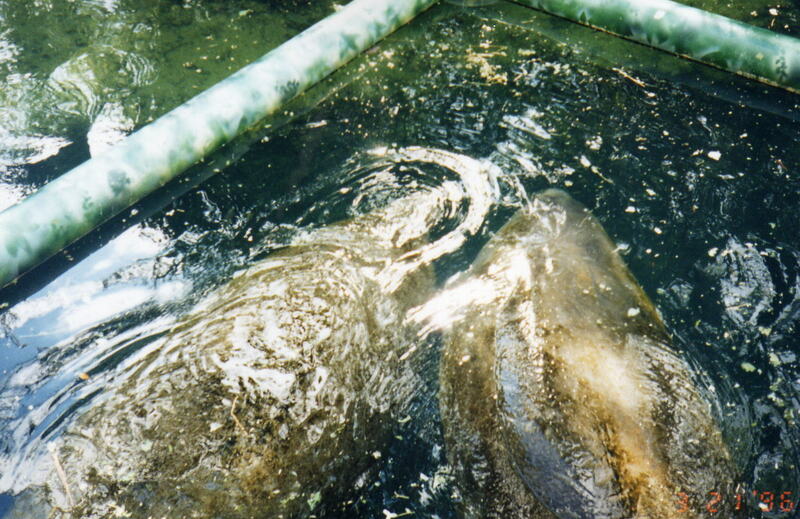 West Indian Manatees have no natural predators. They have casual or opportunistic associations with little blue herons, Florida caerulea, and symbiotic associations with several fishes. 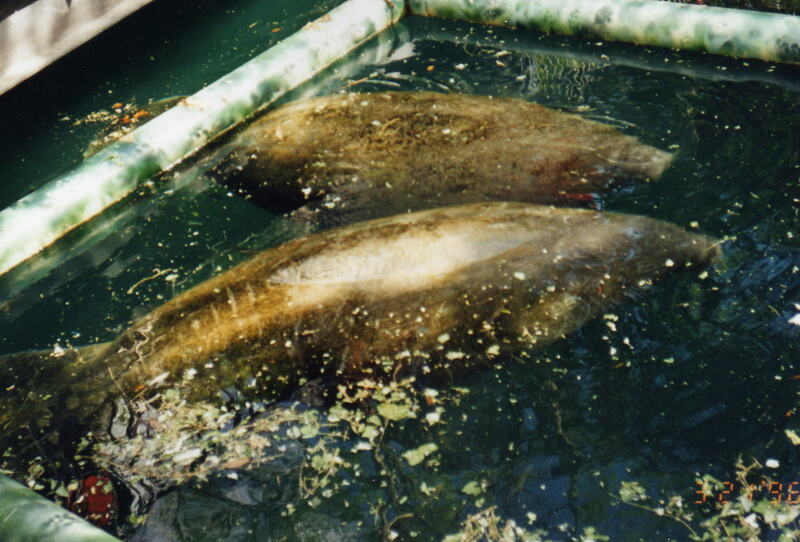 West Indian Manatee serve as hosts to numerous endoparasites and several ectoparasites. The most important causal relationship that manatees have with another species is with Humans. Although the manatees are infected with several species of endoparasites these normally do not seriously affect the health of the animals. 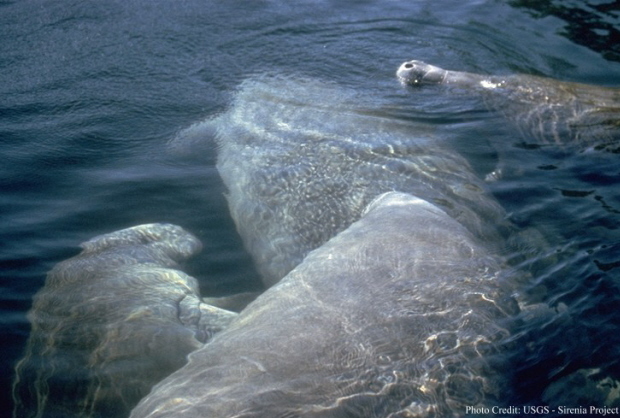 The West Indian Manatee emit sounds underwater for communication with one another. They may produce vocalization while expressing fear, anger or even sexual arousal. They are commonly used to maintain contact with one another while feeding or traveling. 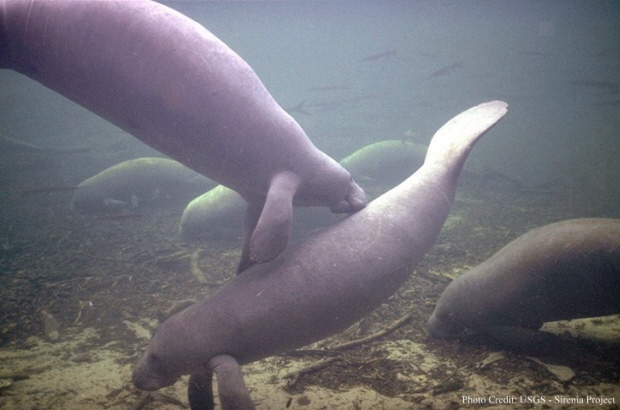 Most common vocalizations are between a female manatee and her calf. The sounds can be described as chirps, and squeaks that are produced in the larynx. These sounds can be heard by humans.